This newly released Hubble image shows elliptical galaxy NGC 3597, which is located 150 million light-years away. The subject of this NASA/ESA Hubble Space Telescope image is known as NGC 3597. It is the product of a collision between two good-sized galaxies, and is slowly evolving to become a giant elliptical galaxy. 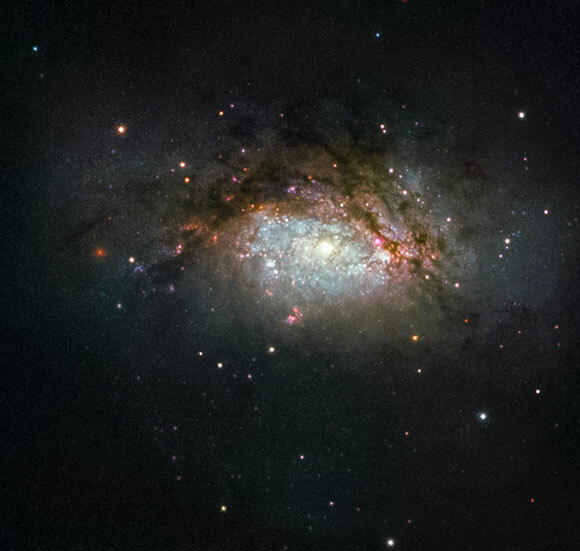 This type of galaxy has grown more and more common as the Universe has evolved, with initially small galaxies merging and progressively building up into larger galactic structures over time. NGC 3597 is located approximately 150 million light-years away in the constellation of Crater (The Cup). Astronomers study NGC 3597 to learn more about how elliptical galaxies form — many ellipticals began their lives far earlier in the history of the Universe. Older ellipticals are nicknamed “red and dead” by astronomers because these bloated galaxies are not anymore producing new, bluer, stars in ages, and are thus packed full of old and redder stellar populations. Before infirmity sets in, some freshly formed elliptical galaxies experience a final flush of youth, as is the case with NGC 3597. Galaxies smashing together pool their available gas and dust, triggering new rounds of star birth. Some of this material ends up in dense pockets initially called proto-globular clusters, dozens of which festoon NGC 3597. These pockets will go on to collapse and form fully-fledged globular clusters, large spheres that orbit the centers of galaxies like satellites, packed tightly full of millions of stars. 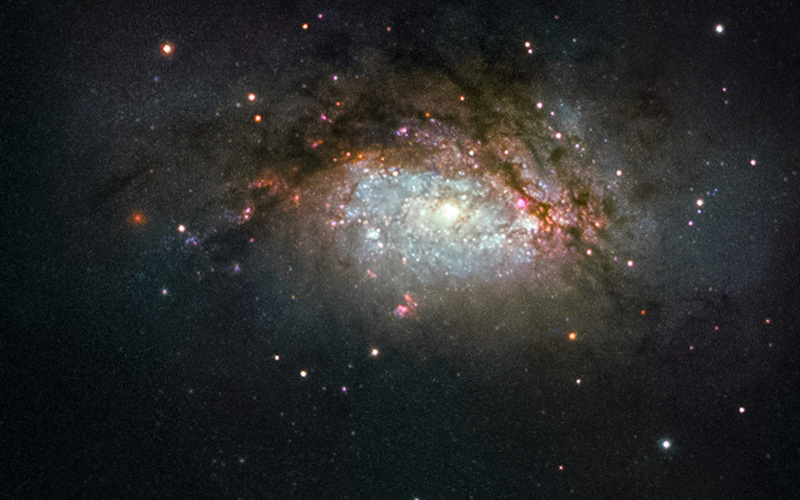 Be the first to comment on "Hubble Image of the Week: A Galactic Mega-Merger"